Need to get your finances in better shape? Would you like to have more control of your money rather than your money controlling you? 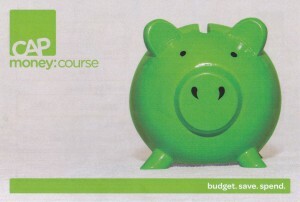 This is a free budgeting course run over three sessions giving you a simple system to better manage your money. You will learn how to create your own personal budget using online tools, talk about how to set goals, cut expenditure, deal with debt, live on cash and get more control over your finances. CAP Money is a course created by the Christians Against Poverty which has been helping NZers out of debt since 2007. It is being run in our community by New Hope Fellowship.